Life at an All Hands base is generally rustic, structured, and communal. Volunteers are meant to assemble to their work teams at set times in the morning, break onsite or back at base for lunch, eat dinner at the scheduled time, and attend a nightly meeting. In Yabucoa, there is a curfew to be back on base by 7pm, since there is only spotty electricity which means the streets get really dark. 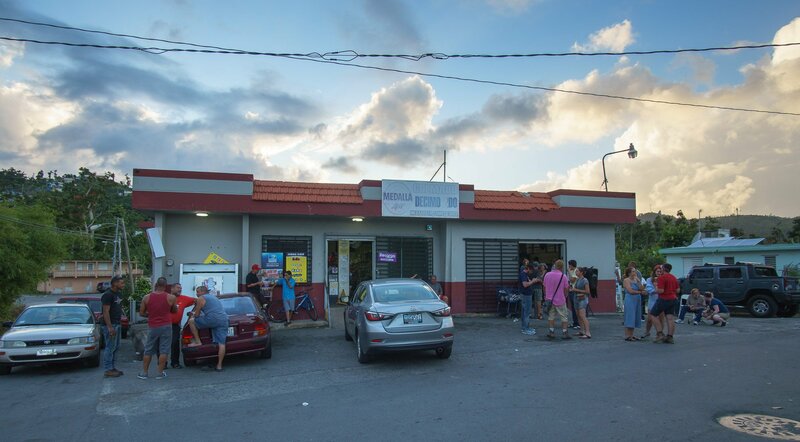 The Colmado (Puerto Rican word for Corner Store) where volunteers spent a lot of time after work unwinding with locals. The regimented schedule can get a little tiring which is why a break off base is mandated for those who have been volunteering for 30 days. Quiet time is from 10:30pm-6:30am, but as with most communal living situations, unfortunately not everyone adheres to this. Same goes for the communal cleaning situation, but I’ve seen grimier hostels in my travels, so I’m not inclined to complain too much. Overall, base is rustic but comfortable. That doesn’t stop some volunteers from complaining about everything, but in a crowd of over 90 people, there will always be unnecessary complainers. Did we mention it’s free to stay though? Indeed, while you are volunteering with All Hands, both your room and board is provided. You need only pay for your way to and from the base. 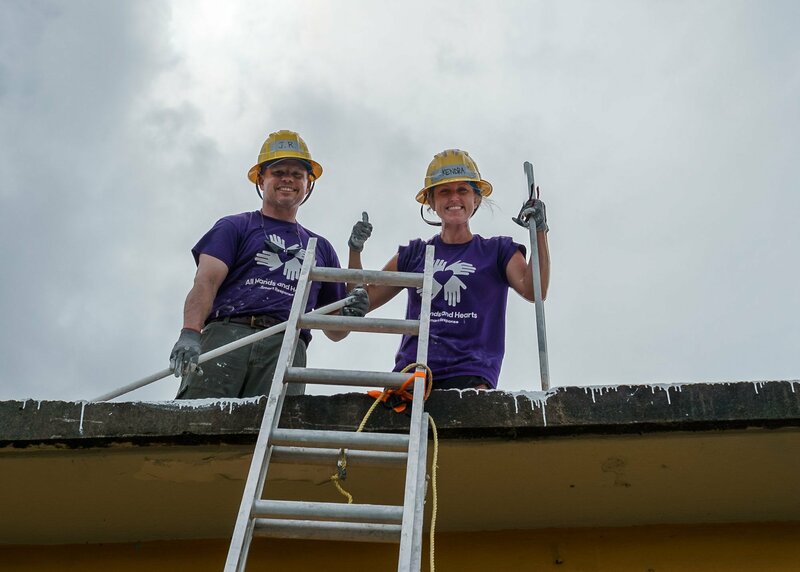 I even heard a rumour that the organization is so in need of volunteers that it is paying for people’s flights from the USA (sadly this did not apply to us as Canadians), so now is as good a time as any to volunteer with All Hands in Puerto Rico! Where in the world you volunteer also dictates how comfortable you’ll be. In Haiti for example, there was only a partial roof which meant air flow was nice, but you know, no roof. Meals were also rice and beans for both lunch and dinner with one slice of tomato being the ration for each volunteer. Ice was hard to come by, beer was often served lukewarm, and street food was limited to egg sandwiches or fried plantains. In Puerto Rico by contrast, we are spoiled with constant generator and solar panel-provided electricity, cold beer, a rotating food menu, fans all over, ice cream parties, Friday night dance offs, and a seemingly never ending supply of treats. As far as volunteering in a resource-constrained disaster zone goes, it’s actually pretty comfortable. It doesn’t hurt that Puerto Rico is stunning either and the views that we got from the rooftops we worked on were pretty incredible. Work usually begins at around 8am and continues to 4:30pm with breaks. Teams and work are assembled the night before at the evening meeting. If you like a particular crew or team leader, you can certainly ask to be on a specific task or team, but often you are assigned to where you are needed the most. I had to skip mould removal for example because I have asthma, so Philip ended up having to spend his first day in a Tyvex suit, sweating buckets in the heat. I made it up when I was assigned to “ditch duty” and had to dig a trench for a French drain so the volunteer’s quarters would not flood. Our other days have been spent on different roofs, chipping away at old cement and sealant, or spraying the pressure washer and sweeping so that new, stronger sealant can be applied. 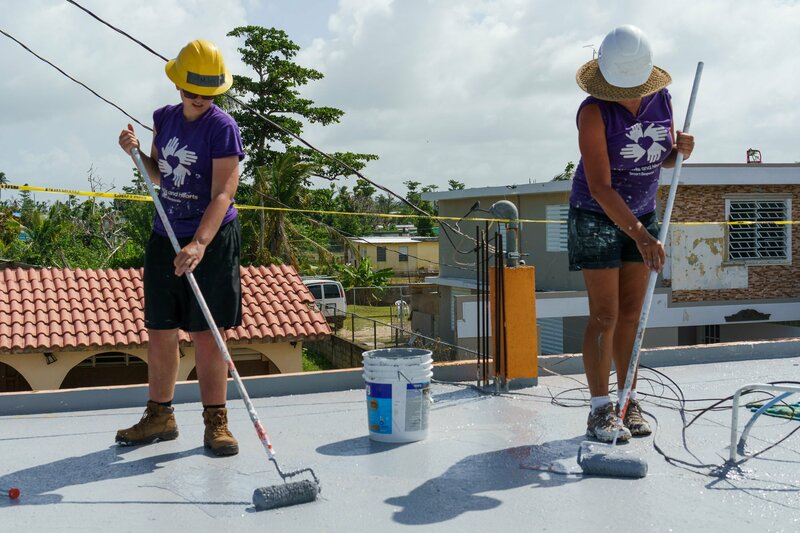 The treatment All Hands volunteers put on their roofs could last as long as 10-15 years, keeping them safe from mould and sanitation issues. This is much less physically taxing that what I experienced in post-earthquake Haiti, which involved shovelling heavy cement rubble into wheelbarrows, wheeling it away, and dumping it off the homeowner’s slab. It was very physically demanding work, especially in the hot, humid sun. Nothing in Puerto Rico has compared to this, except for ditch squad. Digging that trench was damn hard. That said, don’t let us discourage you from volunteering, there are people of all ages and ability giving back the best way that they can. There is also no minimum time commitment so even if you only have a couple days, you can still make a difference. The longer you stay, the more you may be able to be involved in more strategic projects, or even be offered employment if that interests you. There are indeed days off during your volunteer time. In Puerto Rico, Saturday and Sunday are days off, whereas in Haiti, only Sunday was. It was still possible to go on a nice day trip but having the extra day in Puerto Rico certainly opens up possibilities for fun adventures. We were able to take a weekend trip to the small island called Culebra, which is home to one of the nicest beaches I’ve ever seen and features great SCUBA diving as well. Exploring is indeed possible while volunteering, and you can always tack some extra days on before or after your volunteer stint. 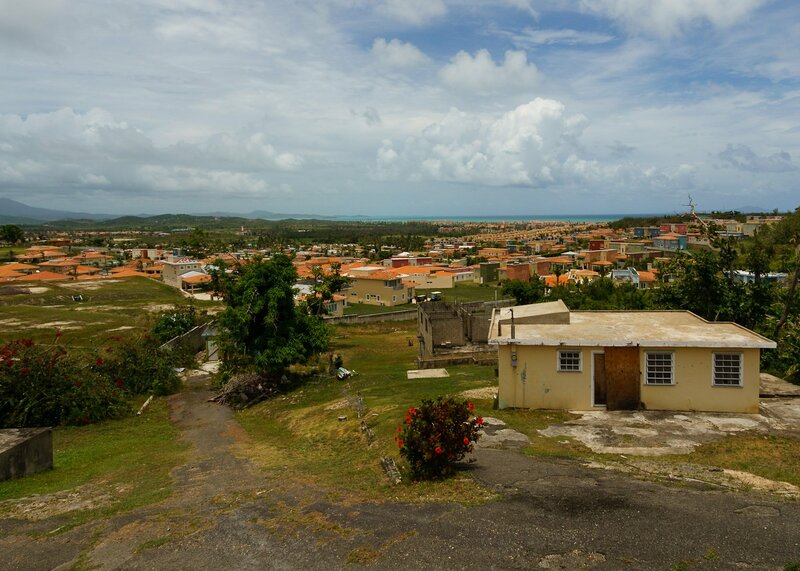 The island is fairly small and can be circled with a car in a day, so there are plenty of nearby attractions like the beaches of Fajardo, Luquillo, and the nature preserve in Humacao. 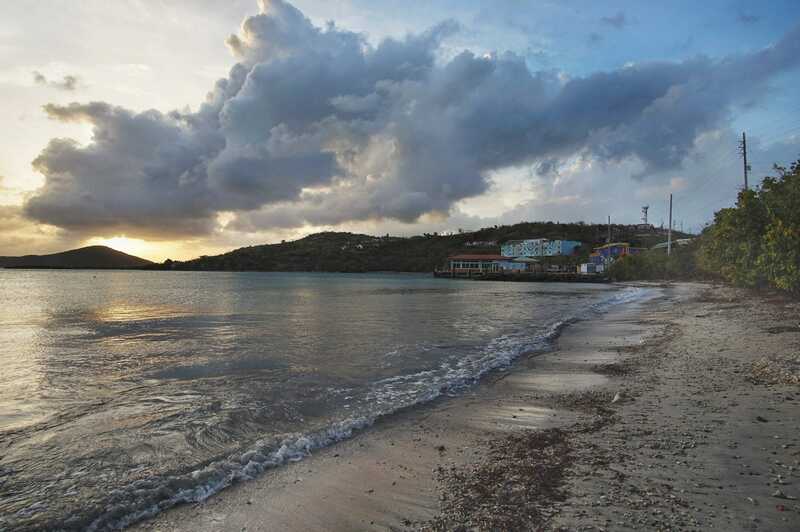 For overnight trips, San Juan is always and option as are the small islands of Vieques and Culebra. All Hands is a community, and the people who come to volunteer are generally super fun to both work and unwind with. The friendships that you make while sweating in the sun to serve someone in need are some of the best friendships that you can have. You will make fast friends with people and will have more fun than you could ever imagine scraping roofs or shovelling rubble. Our doors are always open to All Hands volunteers, and many have offered the same to us. 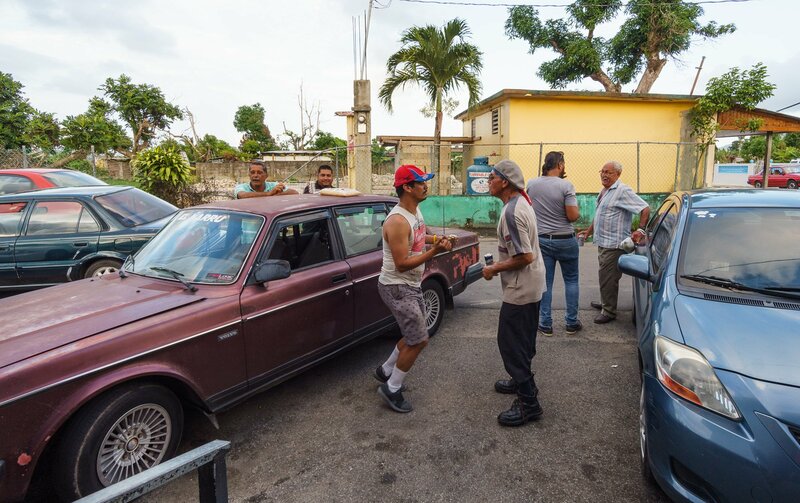 The local people you will meet are equally amazing, from Olga throwing a party to us to being invited to a family’s Christmas party, we have loved being able to meet and help families in Puerto Rico. 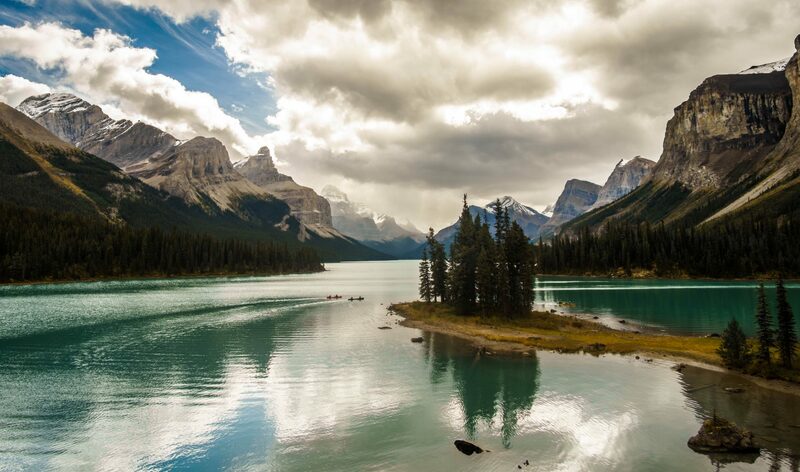 It’s a beautiful country, filled with beautiful people. 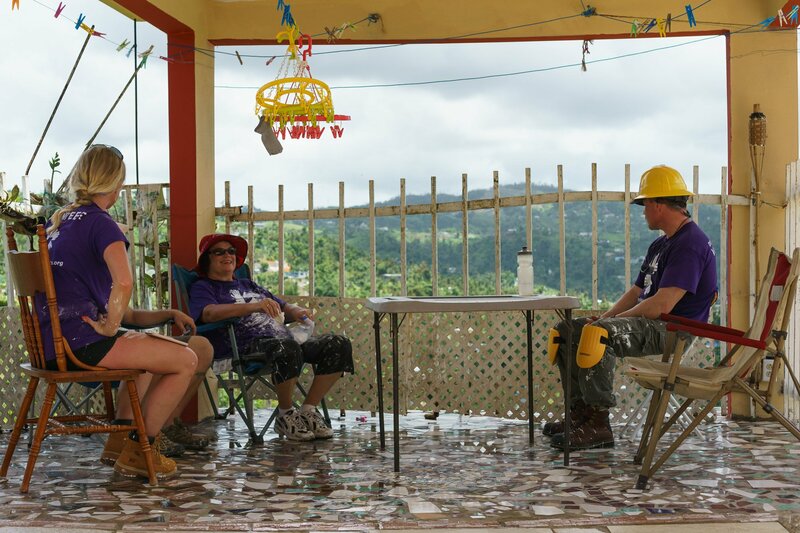 In the end, volunteering with All Hands is no typical vacation, but it is an amazing and unique experience where you get to help people who have suffered the effects of a natural disaster. The program needs both new recruits and donations to keep it running. If you are so inclined, our fundraising page can be found here, otherwise check out the All Hands and Hearts website for their various projects around the world. We might just see you there! 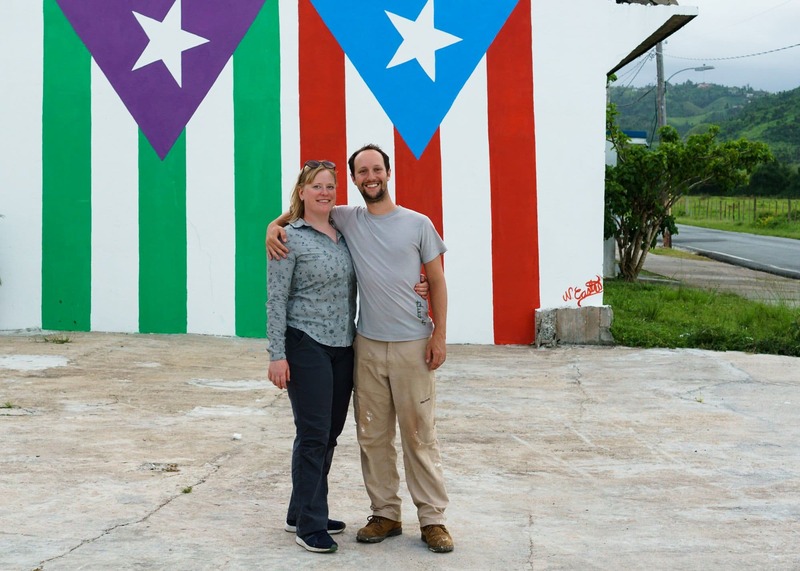 We will miss our time with All Hands in Puerto Rico!